Spring is right around the corner, literally. The first day of Spring officially arrives on Sunday! With the arrival of spring, there’s lots of talk here on Keeper of the Home about gardening this month. Yet Gardening 101 wouldn’t be complete without mentioning Square Foot Gardening. Square Foot Gardening is the perfect solution for those that would love to garden but feel they don’t the space, time or experience. Square Foot Gardening is a simple and unique method of raised bed gardening. It was developed by Mel Bartholomew in the 1970’s as a more efficient way to garden. The seeds or seedlings are planted in clearly marked 1×1 square foot plots, hence the name. The size of the mature plant determines how many plants go in each square foot. For example, smaller plants such as carrots, radishes and onions may be planted 16 or more per square where larger plants such as broccoli, peppers and tomatoes have only one plant per square or may even use multiple squares for one plant. This time last year, my husband and I were gearing up for our first ever season of Square Foot Gardening. We researched and planned for months, trying to figure out the best way to have a garden in our small backyard. We decided on square foot gardening and, overall, we were really happy with the outcome. In the future, we’ll do a few things differently (I’ll explain later in the post), but we will definitely have square foot gardens in the future! This method of gardening really is easy. Those with basic woodworking skills can easily build their own frames for the garden, or if tools and skill are not available, the frames can be purchased at a variety of places. The gardens can be small to fit in nearly any space, and they do not rely on the quality of the local soil. My husband, Mason, built our frames out of 2X12 untreated lumber. He also rigged up a cold frame using heavy painters plastic and PVC pipe so we could plant even earlier in the season. For those who have worked to make their soil just right for gardening, you know that that is back breaking work and often it requires the use of special equipment such as a rototiller. With square foot gardening, the raised beds are placed above the ground, right on top of your existing soil, and a special soil mix is used for the garden, so there is no need to worry about improving your existing soil. The soil in our previous home was clay and very difficult to work with in most areas of the yard. In instances where we were planting in other areas, we spent a lot of time and effort trying to improve our soil. We mixed in manure and compost but the results always seemed mediocre. On the other hand, our square foot garden had it’s own special soil that was easy to create and use. While many facets of the square foot gardening method are adaptable to your preferences, space and situation, Mel’s Mix is the area in which you’ll want to follow the instructions exactly. Mel’s Mix is the recommended soil for use in your square foot garden. It is a combination of ⅓ peat moss, ⅓ vermiculite and ⅓ compost so it may be the most expensive part, yet it’s likely to be the most valuable too. We really liked working with it and found many advantages. Mel’s Mix absorbs and holds the moisture such that you don’t have to water as often or as much as typical soils, saving water costs. It’s also naturally very loose, making weeding a breeze, saving you a lot of time and effort. Planting and harvesting are also simple because of the looseness of the soil. Although we don’t have any experience with this yet, it seems that the upkeep of the soil from year to year would be minimal. You may need to add to the soil after a few years but for the most part, the soil will remain intact and ready for planting year after year without much effort between plantings. Is there such a thing as a low maintenance garden? Yes, there is! Mel’s Mix remains loose and crumbly so it’s very easy to work with, whether planting, weeding or harvesting. I’m one of the few who actually enjoys weeding (to a point) but I didn’t have much work in the garden to do all summer long. You are far less likely to get weeds in the first place – because you’re not using soil that has existing weed seeds in it – and if you do get a few, they are very easy to pull out. In our square foot garden, we only had a couple weeds pop up each week or so but they were very easy to pull out. This made managing and weeding the garden very easy. I had a flower bed in the front yard of that same house where I was constantly fighting weeds and trying to keep the soil moist enough to nurture the plants. I spent more time in my little flower bed last summer than I did our entire garden! They extend the growing season. The soil warms earlier in the spring and stays warm longer in the fall allowing you to stretch your gardening calendar. In addition, many plants such as tomatoes and peppers prefer a warm soil so they will thrive in your raised beds. They have better drainage than typical gardens given that they are up off the ground. They eliminate soil compaction. This method of gardening encourages beds that are small enough that you can reach everything from the sides without walking through them. You don’t need to worry about compacting the soil, which can adversely affect your plants. 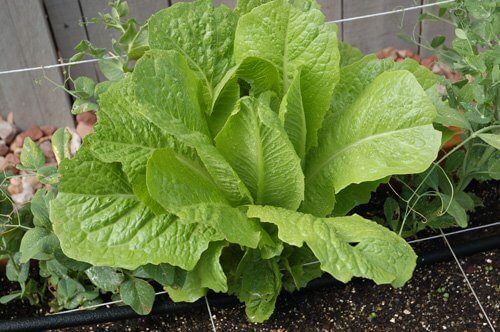 They allow the garden to “breathe” better – due to excess moisture being able to drain and also because the soil remains light, your plants will receive more oxygen than in a typical garden. Your square foot garden can be made to almost any dimensions according to what will work best in your yard and in your available space. It is recommended, however, that you keep your garden at a maximum of 4 ft. deep so that you can always have easy access and can reach each square. We actually made two Square Foot Gardens, each 8×2 ½ feet, and we lined them up end-to-end. That’s what worked best for the space that we had available. In hindsight however, and something that we will do differently in the future, we placed our gardens too close to the back fence and so managing the last ½ foot of garden was more difficult than it should have been. In the future, we’ll allow for plenty of room on all sides of the garden so planting, thinning, trimming and harvesting will be much easier. We won’t need much, just a couple of feet around the entire garden will be perfect. Another adaptation that I’ve seen recently is raising your square foot garden to waist level creating a table top garden. This is particularly good for those who don’t want to have to bend over in order to work in the garden. And if you have kids, animals or pets that might be tempted to disturb your garden, having a tabletop garden is also advantageous so you can raise it up out of their reach. It seems counter-intuitive that a smaller garden would produce a higher yield but it’s true. Without needing walking space in order to reach every plant, you’re able to plant in each and every inch, which enables you to get the most out of your garden. Our little garden harvested over 14 lbs. of produce in June and July alone. August and September were very hectic for us so we lost track of what we were harvesting, but I’m sure we more than doubled the first two months’ harvests. Whatever your situation, your gardening experience and expertise, or the lack thereof, give square foot gardening a try! www.squarefootgardening.org – The official site of Square Foot Gardening. Have you had a Square Foot Garden? What did you enjoy most about it? We’re doing this for the first time this year. I cannot find vermiculite within a normal driving distance, so I’m improvising, which may turn out to be a failure; but there is no way I’m driving an hour and a half or paying $100 in shipping costs. Unfortunately, vermiculite isn’t readily available in a lot of places and that doesn’t seem to be mentioned when I read of square foot gardening on the web. Maybe others are able to drive far, or pay high shipping costs, or are lucky to live in an area where they have access. Otherwise, I’m on board… after I get all of my fencing/netting so the squirrels do not tear my garden apart! They’ve already been diving in the soil trying to find something! Jerilyn, I didn’t have vermiculite the first year either. I used peat moss, compost and regular gardening soil from a local place. My garden did fine, but we definitely noticed a difference when we added vermiculite the next year. Just lightens everything up a lot. Where did you find vermiculite in Georgia? I have called numerous stores and cannot find the 4 cu. ft. bags! Do you need to have access to dirt/soil under the beds? I like in an apartment and have been looking for some type of gardening/planting I can do on my balcony. I want to grow more than just herbs and spices though, which is what most people suggest, if it’s possible. So I’m looking for something that doesn’t need access to dirt or soil ground, that can work with just the soil in the beds. This is my first year too. I’ve already started seed inside. My cucumbers are sprouting. I bought a starter kit for seeds with a lid. The sprouts are already too tall. So what should I do? Why is vermiculite so hard to find? i wonder if nursery’s/garden centers in your area would order it special for you if they don’t usually keep it in stock? i’m not sure if it’s widely used and so that’s why many don’t stock it. we’re now in a more rural area then when we built this garden so we’ll probably end up ordering it online or asking someone to order it for us. We love SFG! 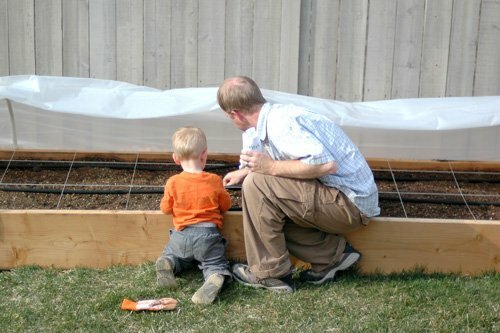 We use raised beds that are a perfect heighth for our kids to pitch in and tend alongside us. I thought it was weird that you said spell check caught it because it is a word, so I looked it up thinking “are height and heighth really different, and it turns our no, just different spellings, I’m thinking it’s an english spelling. We’re going to do some ‘sfg’-ing this summer! I do plan to use my existing soil, though, instead of buying all new. I’ll just be dumping a heap of compost on there and aerating it thoroughly. I would rather not use peat moss, if I can help it, since it’s not really a renewable resource. @Root and Twig, In the SFG book, “Mel” mentions that exact thing, and one of the benefits of using a smaller bed where the dirt is contained is that you only use a fifth of the peat-moss you would use in standard gardening, AND you only add it the first year. After that you just rotate fresh compost in each year. So that helps use the limited resource well, if that’s any comfort. Of course, if you can do without it, by all means go for it!! 🙂 I think my soil has plague in it. Of course, it is in the inner city in a not-so-great-neighborhood…. Our Dollar General has the Square Foot Gardening Book for $5 — great deal!! We found Vermiculite at Wal-Mart last year. I haven’t checked yet this year. We did SFG a few years ago and hated it!! It was so expensive to start up. A month later, half of the soil was missing from the boxes. We found that we had to water MORE often. I don’t think we got much of anything out of it. Everything either died because I didn’t have time to stand out there 3 times a day watering, or the bugs got it. The next year, I planted right in our soil and we had plenty of bell peppers, basil and parsley. We had tomatoes and cucumbers coming out of our ears. There was also fresh broccoli, cauliflower, carrots and even a couple of accidental pie pumpkins. I’ll just stick with my clay soil mixed with compost thank you! We have an in ground garden but our space is so limited that we utilize most of the square foot gardening techniques. This year we extended the garden a little bit and I am soooo excited to get things in the ground! @Ashley – you can use big planters and pots to garden in and those hanging tomato and strawberry baskets work great for deck spaces, too! Square foot gardening worked great for us for several reasons. First, our soil is terrible. Unless a previous home owner has spent a long time enriching the soil, specialists say it can take 5 to 7 years to amend your soil for ideal growing! We had a huge problem with squirrels though, so we had to cover the bed with chicken wire and even then a few intrepid squirrels found a way in. We also have trouble finding vermiculite in our area. For those who have found that Mel’s Mix dries out too much, use more compost and less vermiculite and peat moss. I’ve also known people to substitute Perlite. Vermiculite can be hard to find in some areas because of an asbestos issue over a decade ago. (Vermiculite is actually a mined stone product that sometimes develops within a vein of asbestos. But now it must all be tested and stamped asbestos free. But some stores still won’t carry it). I can only find it in tiny 8 QT bags at our local Lowe’s. That gets pricey when filled two or three 4X4 beds. This method also works especially well for us because the best sun in our yard is on the patio, not the grass or existing beds. Square foot gardening lets you move your garden to the sun rather that have to modify what you grow based on where your garden beds are located. thank you for sharing your experience with SFG with us! since we’ve only been doing it a year, we don’t know everything, of course. we’ll be doing it in 20 years and still be learning things! i’ve learned a lot from your comment though… thank you! We tried the square foot gardening method 2 years ago using our existing soil, but the books recommendations for plants per square foot. It worked pretty well. Last year we actually built the beds and filled them with Mel’s mix. WHAT A DIFFERENCE!!! We raise chickens, so we have access to an unlimited supply of well composted chicken manure which has always made our garden better than average for our area. SF gardening took it up an extra notch. We ended up doing an experiment last year. We were given 18 gallon size tomato plants after we had our beds almost full. So we planted a few in our raised beds, and the rest in our normal garden soil…Even after fertilizing with miracle grow the ones in the normal garden soil, hands down the raised bed mel’s mix ones outperformed at least 5 to 1 !!! The only thing I found that didn’t work well in raised beds was viney things like cukes, zucchini & yellow squash. The book says that you can train them to a trellis. Personally it didn’t work for us. This year we will plant most things in SF raised beds, but cukes, squash & melons will be in a garden row. that is an important point that i neglected to mention… perhaps i should go back and edit it in… even though we primarily followed the SFG method last year, we still stuck to planting our cucumbers, pumpkins and squash in the traditional mound. we were afraid they would crowd everything in the SFG out. i’m curious about using a trellis with those types of veggies, but i think we will always plant those more traditionally and perhaps use a trellis in addition to the mound. great point and thank you for bringing it up! I grew my cucumbers vertically and it worked well. They didn’t crowd out any of the surrounding veggies. This year I’m going to try squash as well. The key is to train the vines when they are small rather than wait until they begin to overrun the box. @Laundry Lady, I agree about training them when they’re small. I put in my stakes (unless I’m using a trellis) at the same time that I plant my seeds. As soon as my plants are large enough to start securing them and training them vertically, I start training them. It works great for me! I’ve been doing a bit of a mix of Square Foot with regular gardening. Until this year, I have just made slightly raised beds within my larger garden area. I also used compost and peat moss to amend the soil, but I didn’t do Mel’s Mix, just did the best I could with the soil I already had. I’ve also used many of his spacing and planting techniques, although I’ve also played around with wide row planting. Overall, I think I prefer Sq Ft planting methods best, because they avoid over-crowding and thinning, uneven germination, and they seem to give plants the ideal amount of space to grow without using more garden space than is actually needed. This year I’ve built actual garden boxes and bought nice garden soil (but still didn’t do Mel’s Mix for cost reasons), simply because in our new yard the existing garden space was too small and too shady. I love that having boxes let’s me use all of the very best spots in the yard to maximize the sunlight! Overall, I feel like you can grow a great garden without his methods, but there are a lot of good reasons to choose to do Square Foot. The book is worth buying and keeping as a reference, at the very least. this is what we are going to try this year! thanks for the tips on soil mix and about how far to place it from the fence. looking forward to trying a new way! Thanks for encouraging people to grow food! I love it. 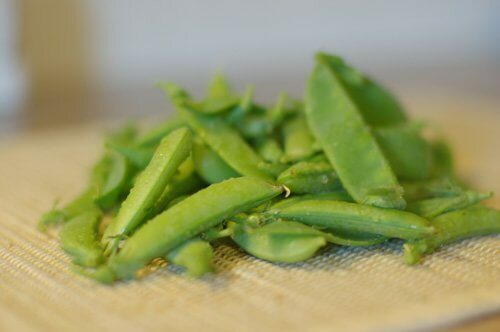 My friend’s mom was very intimidated by vegetable gardening, and when she tried the Square Foot Gardening method two summers ago, she was really surprised at how easy it turned out to be. Raised beds are really a great solution to poor soils, as you mentioned. Keep up the good work! How fun! We JUST put our SFG in the ground TODAY!! We’re actually combining it with “Lasagna Gardening” which is basically layered composting. We didn’t have much vermiculite, but had PLENTY of mature horse manure and compost as well as yard mulch, and the perk with lasagna gardening is that because it is so warm from decomposing, you can get away with planting directly into the “ground” much earlier. It’s our first time trying it, so we’ll see how it all goes, but we got lots in the ground today! I’ve done traditional gardening for 3 years and though we have always had wonderfully delicious organically-raised crops, I was fed up with the recurrent pest problems we’ve had year after year (tomatoes- spider mites, all vine plants- fungal blight), and I think/hope that the soil in our garden is part of the problem, so starting over with pest-free soil should help us! @Christina, Oh, I’d love to hear how lasagna gardening goes for you, Christina! I’ve heard good things about it! We also have had raised beds. They worked well, especially with spring mix lettuce. They also are easier on your back. We are in Northern Wi & are farming on 170 acres. We grow most of our own food(Grass fed Angus beef, pastured poultry/turkeys, pastured pork & dairy goats). We also grow a few acre garden. If you want to feel like you have gone back in time(about 40 years). Can stand cold winters, consider moving to northern Wi. Farming is abundant & land is still around $ 1,000 a acre. This is my first attempt at SFG, which I prepared for last Fall so I could be ready for the early Spring planting. I have six 3’x6′ boxes. Last week, my kids and I planted peas (using a little pea fence), carrots, radishes, calendula, spinach, broccoli seedlings, and cabbage seedlings. Keeping my fingers crossed . . . .
Gardeners Supply Company (www.gardeners.com) has an awesome Kitchen Garden Planner which operates just like the SFG. You can create your own garden by dragging and dropping vegetables into the little square foot boxes and it will automatically tell you how many to plant per square foot. It also has some pre-planned gardens that you can use. My biggest issue was that, with all the snow we had this past winter, my soil mix was compressed so that the boxes only appeared to be half-full (they are only 7″ tall). I fluffed up the soil, then added more compost and a soil mix that contains worm castings and coil. I’d like to have 6″ of soil, but no matter how much I add, it never seems enough. I have pretty much given up for now and hopefully I won’t have any problems. Looks like we’ve had an animal digging in our garden, probably a cat. I bought pvc and plastic sheet to cover tonight, but wonder if my soil is not tainted or damaged. Any ideas? Remember to add compost whenever planting the next crop. Compost is for nutrients besides just filling up the box. Vermiculite is available at farm supply stores and Home Depot as well as garden centers and nurseries. If you cannot find it do not use peat moss either – just use straight compost. When using peat moss be sure to measure correctly. Because it is often compressed I have found the people often add too much. If you are going to be off it is best to be off in favor or compost. The dollar store versions for $5 are not the complete book. The book is available at most public libraries but when spring hits there is a long waiting list. I love the trellising system from the book. I use it for tomatoes, cucumbers, squash, beans, and peas. Ground cinnamon can repel squirrels, cats, and othe mammals. Buy some at the dollar store to save money and just sprinkle it on the ground around your plants. Square Foot Garden boxes can be built with a bottom for use on decks and patios. Remember to drill holes for drainage. I am planning a SFG along the side of my house. Will 2′ of clearance between the house and the bed be enough room?